Book your accomodation on qantas.com to earn Qantas Points at over 200,000 hotels or 4.5 million Airbnb homes worldwide. Whether you prefer to relax in a luxury hotel, lounge around the pool at an island resort, or live like a local with Airbnb, you can experience it all with Qantas. Plus enjoy access to special rates, bonus inclusions and points offers on selected properties. From glamping to glamorous, family-friendly to romantic, make yourself at home at over 4.5 million Airbnb homes in over 191 countries. Choose from chic studio apartments, beachside homes, treehouse retreats and more. Plus earn 500 bonus Qantas Points^ when you make your first ever Airbnb booking via qantas.com. That's on top of the usual 1 Qantas Point^ per A$1 spent. 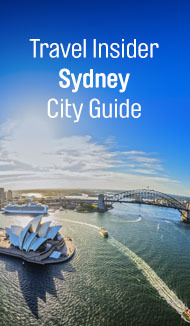 ^ You must be a member of the Qantas Frequent Flyer program to earn and redeem Qantas Points. A joining fee may apply. Join online now. Membership and the earning and redemption of points are subject to the terms and conditions of the Qantas Frequent Flyer program. Qantas Hotels: The ability to use Points Plus Pay is subject to meeting the minimum points requirement of 5,000 Qantas Points. Qantas Frequent Flyer members will earn 3 Qantas Points per A$1 value for all hotel stays, except Classic Hotel Rewards, booked at qantas.com. Qantas Points will not be earned on cancelled or refunded bookings. Qantas Points will be credited to your account at least 8 weeks after check-out. To earn Qantas Points, quote your Qantas Frequent Flyer membership number when booking. Qantas Points cannot be split between two or more members occupying the same room. Some accommodation providers may not allow you to combine this offer with any other offer. Qantas Points may be earned by the member in whose name the booking is made. Members will not be able to redeem points for, or earn points on additional charges paid to the accommodation provider for extras (including cots, breakfasts and other incidentals) on check-in or check-out (as applicable). Airbnb: 500 bonus Qantas Points will be awarded to Qantas Frequent Flyer members who make their first Airbnb booking on qantas.com/airbnb. Members who are new Airbnb hosts will earn up to 20,000 Qantas Points on their first listing created through qantas.com/airbnb and upon achieving a total booking value of $500 (excluding Airbnb service fees, cleaning fees and taxes). Qantas Frequent Flyer members will earn 1 Qantas Point per A$1 value for all Airbnb stays booked through qantas.com/airbnb. For both Qantas Hotels and Airbnb: Qantas Points will not be earned on cancelled or refunded bookings. Qantas Points will be credited to your account at least 8 weeks after check-out. 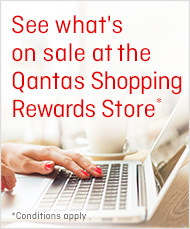 To earn Qantas Points, quote your Qantas Frequent Flyer membership number when booking. Qantas Points cannot be split between two or more members occupying the same room. Some accommodation providers may not allow you to combine this offer with any other offer. Qantas Points may be earned by the member in whose name the booking is made. Members will not be able to redeem points for, or earn points on additional charges paid to the accommodation provider for extras (including cots, breakfasts and other incidentals) on check-in or check-out (as applicable).